Essential thrombocythemia (ET) is also called essential thrombocytosis or primary thrombocythemia. This condition is a myeloproliferative neoplasm that develops when the bone marrow doesn’t work properly and produces too many platelets. Since essential thrombocytosis is a chronic disorder, it develops slowly over time. ET increases the risk of blood clots and bleeding in patients. Experts have yet to determine the exact cause of essential thrombocytosis, but some individuals with the condition have a mutation (change) in the Janus kinase 2 (JAK2) gene. The cause of this gene mutation is also unknown. People who are at least 60 years old usually develop essential thrombocytosis. The condition may also develop in younger people, especially women of child-bearing age. Pregnant women with untreated ET are at risk of complications such as miscarriage, the slower development of the fetus, and premature birth. In rare cases, ET develops into polycythemia vera (PV), myelofibrosis, a myelodysplastic syndrome, or acute myelogenous leukemia (AML). 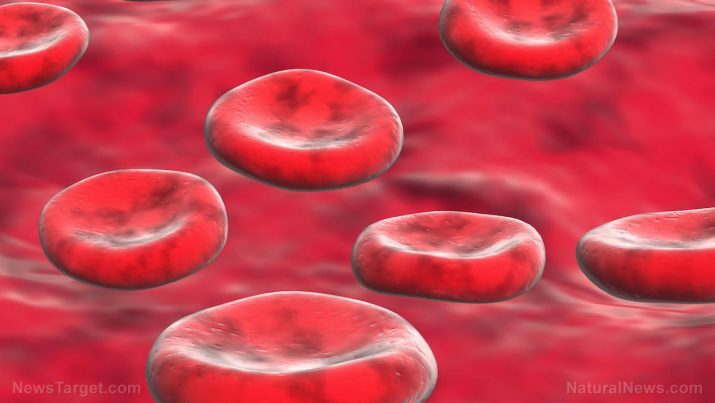 While patients with essential thrombocythemia don’t usually experience any side effects, a blood clot may be the first sign that something is wrong. Although blood clots may form anywhere in the body, they usually form in the feet, hands, or brain. The symptoms of a blood clot will vary depending on where the clot is located. Women who are diagnosed with essential thrombocythemia and also use birth control pills have a chance of developing blood clots. ET is also dangerous for pregnant women since a blood clot in the placenta can cause problems with fetal development or miscarriage. While essential thrombocythemia is often treated with medication, a proper diet, dietary supplementation, and avoiding several food groups may help prevent the condition and manage its symptoms. Alcohol, caffeine, meat, and tobacco — These substances are bad for your cardiovascular health, which is a major health concern for patients with the condition. Replace red meat with sources of lean protein like beans, cold-water fish, poultry, and tofu. Caffeine and tobacco can raise blood pressure. Alcohol must be consumed very moderately since it can cause nutritional imbalances. Fats — Saturated fats are linked to cardiovascular diseases such as atherosclerosis, heart attack, and stroke. Replace saturated fats with vegetable oils such as olive and canola oils. Additionally, patients with ET mush avoid foods with trans-fatty acids, which are usually hidden in store-bought baked goods like cookies and crackers. Trans-fatty acids are also found in donuts, fried potatoes, margarine, and various processed foods. Refined foods — This includes grains that have been stripped of bran (endosperms) and sugar. Replace them with whole grains like brown rice, whole grain bread, and whole wheat pasta. Whole grains help lower cholesterol, which will benefit patients with ET, and improve intestinal health. Treatment plans for patients with essential thrombocythemia often depend on several factors like the risk of developing blood clots. Individuals without any symptoms or additional risk factors may not require treatment. A healthcare professional may opt to monitor your condition instead. Over-the-counter low-dose aspirin (Bayer), which may reduce blood clotting. Prescription medications, which may reduce the risk of clotting or minimize platelet production in the bone marrow. Plateletpheresis, a procedure that extracts platelets directly from the blood. This condition is a myeloproliferative neoplasm that develops when the bone marrow doesn’t work properly and it produces too many platelets. Since essential thrombocytosis is a chronic disorder, it develops slowly over time. ET increases the risk of blood clots and bleeding in patients. While patients with essential thrombocythemia don’t often experience any side effects, a blood clot may be the first sign that something is wrong. The symptoms of ET may include changes in vision, chest pain, fainting, and headache. A blood clot may also result in a transient ischemic attack (TIA) or a stroke. Avoid alcohol, caffeine, fats, meat, refined foods, and tobacco to manage ET. Consume more lean proteins, vegetable oils, and whole grains to help prevent the condition. Individuals without any symptoms or additional risk factors may not require treatment. A healthcare professional may monitor your condition. Treatment for essential thrombocythemia may include over-the-counter low-dose aspirin, prescription medications, and plateletpheresis.